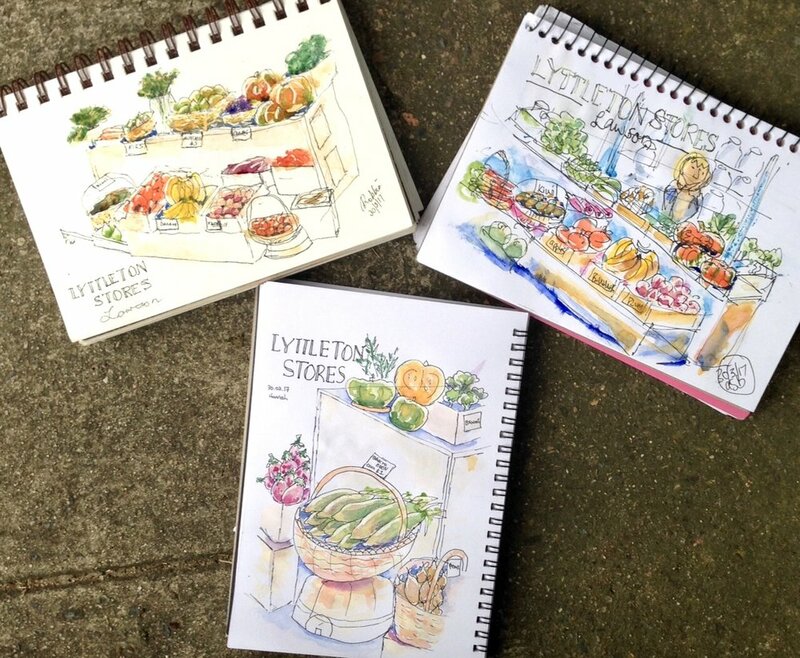 At Lyttleton Stores in Lawson we sketched organic local and seasonal produce. This is how we like it in The Blue Mountains. This lesson was about going out of our comfort zone, a gentle introduction to capturing markets, intrinsic shapes and sketching out and about. Well done new Sketchers.